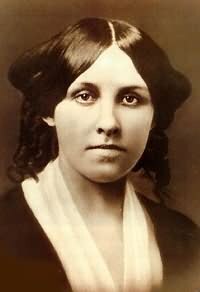 Louisa May Alcott (; November 29, 1832March 6, 1888) was an American novelist, short story writer and poet best known as the author of the novel ''Little Women'' (1868) and its sequels ''Little Men'' (1871) and ''Jo's Boys'' (1886). Raised in New England by her transcendentalist parents, Abigail May and Amos Bronson Alcott, she grew up among many of the well-known intellectuals of the day, such as Ralph Waldo Emerson, Nathaniel Hawthorne, Henry David Thoreau, and Henry Wadsworth Longfellow. Published in 1868, ''Little Women'' is set in the Alcott family home, Orchard House, in Concord, Massachusetts, and is loosely based on Alcott's childhood experiences with her three sisters. The novel was very well received and is still a popular children's novel today, filmed several times. Little women; or, Meg, Jo, Beth, and Amy.